Picular is a web app that might not be useful to everyone all the time, but when you do need it, it’s incredibly handy. 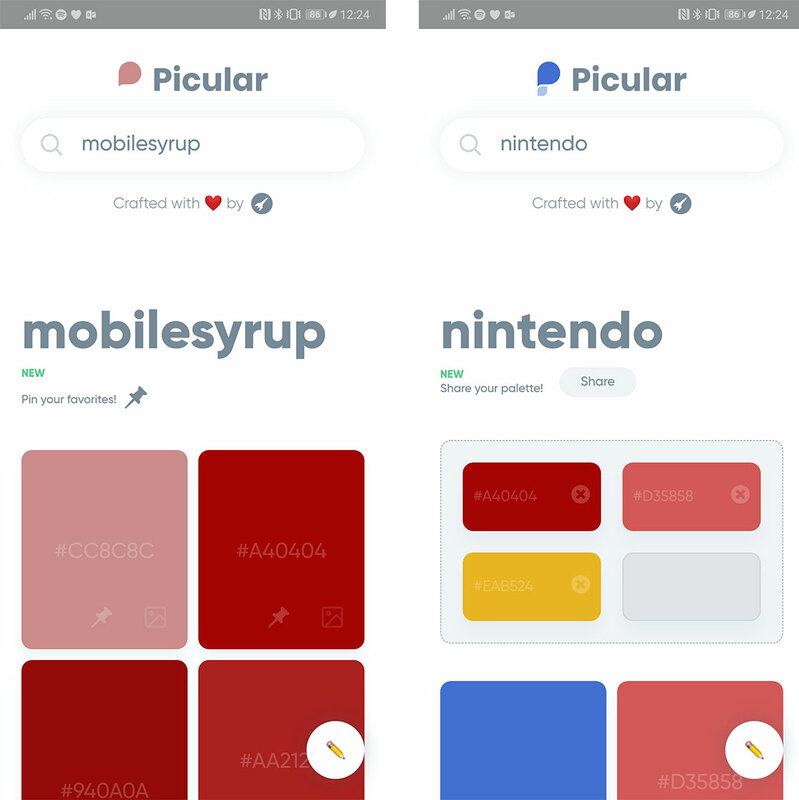 The web app uses Google Image Search, but instead of displaying the images it shows you the most dominant colour in the picture. This is a web-based app, but you can pin it to your phone’s home screen and then it acts just like a regular app by hiding the web-browsers search bar. Searching for something like ‘Fire’ or ‘Oceans’ will give you results with varying shades of red and blue that are sourced from Google Images. 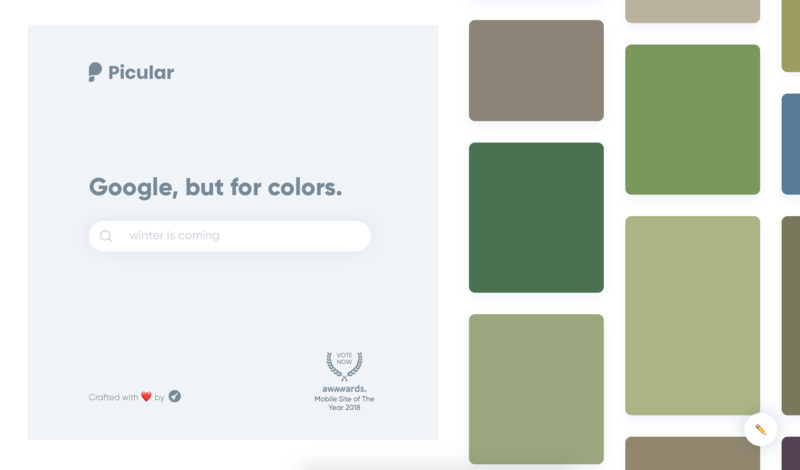 Once you get your results, you can tap on one to copy the HTML HEX code to use in any other apps where you might want to add a custom colour. For example, I’ve used the app to find a new highlight colour on my Twitter profile and to customize the sidebar on my Slack desktop app. I’m sure there are even more uses for this nifty little web-app, but what I really like about it is that it does one thing, and it does it exceptionally well. It’s even nominated to be the best mobile website of 2018 by Awwwards.com. There is only one page, and that’s the search page, and the only additional function is a pin function that will keep your favourite colour at the top of the screen for safe keeping. iOS users can visit the Picular website, then tap on the Safari share button and choose the ‘Add to Home Screen’ option. On Android, you can accomplish the same thing in Chrome by tapping on the three-dot menu and choosing the ‘Add to Home screen’ option again.